The Special Assistant to the Governor of Enugu State on New Media Matters, Mr. Emmanuel Jonathan, has appealed to social media commentators criticizing the citing of Enugu State University of Education at Ihe, Awgu Local Government Area of Enugu State, to understand that Governor Ifeanyi Ugwuanyi is a man who believes in the leadership of inclusion, equity, justice and fair play. Speaking with newsmen in Enugu Jonathan said Governor Ugwuanyi had come to change the leadership paradigm in the state. It would be recalled that Governor Ugwuanyi performed the ground-breaking ceremony for the administrative building of the first university of education in the South-East zone at Ihe, Awgu Local Government Area of the state on Tuesday, April 9, 2019. The development sparked off criticisms on social media. Jonathan said that from the way the governor had piloted the state, it was evident that this was the major reason why there had been tranquillity leading to the state being recognized as the safest for doing business and investment in the country. “I want to assure all the social media commentators that the governor will definitely accommodate every zone of the state with landmark projects that will not only address issues of employment generation and empowerment of the people of the areas, but also meet the aim of establishing the projects. “I share the sentiments of a majority of the commentators on social media who are of the opinion that the governor should have cited the Enugu State University of Education in any of the local governments in Enugu North senatorial district to ameliorate the problems of underdevelopment ravaging the zone due to long-time neglect by past leaders. “I also want to state that the governor has not rested on his oars to make Nsukka zone an urban city. He made it clear in his inaugural speech shortly after his swearing-in and Ndi-Enugu are aware of the underdevelopment ravaging the zone. 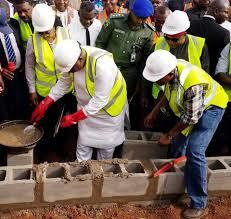 “Many projects are ongoing and many are in the pipeline towards upgrading Nsukka zone to its supposed status. “It is very pertinent to inform us that the governor has not lost focus in upgrading Nsukka zone but while doing that he has the obligation to also touch other zones of the state. “I, therefore, appeal that patience be exercised as the governor will meet the demands of the people of Enugu North senatorial zone and the other zones of the state,” he explained. Jonathan called for prayers and continued support to the governor from the good people of the state, noting that with God all things are possible. AYADE COMMITTED TO ENDING VIOLENCE AGAINST CHILDREN IN CROSS RIVER STATE!